56. 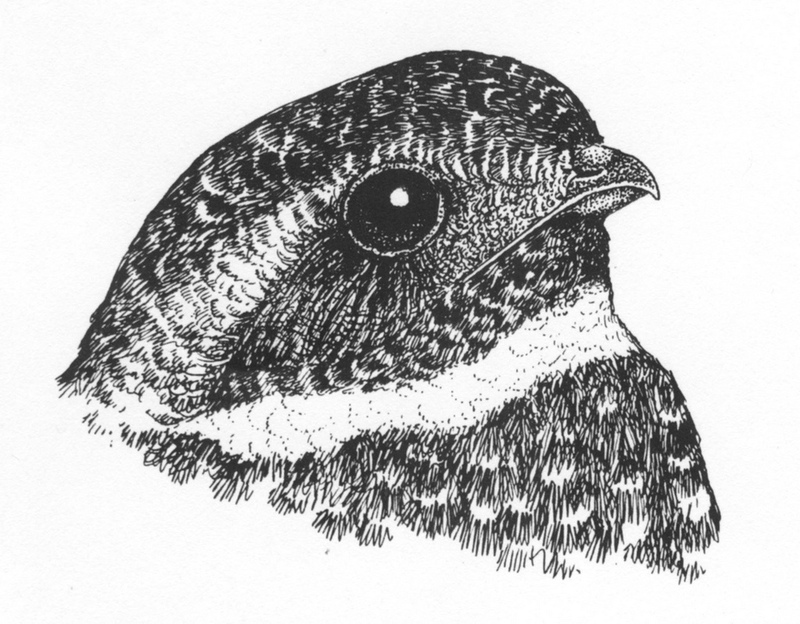 Make flat roofs nighthawk-friendly. A built-up roof is made by pouring a blend of hot asphalt and rubber over a roof and letting it set. This kind of roof can get extremely hot, so it is unsuitable and even dangerous for wildlife. A rock-ballasted roof consists of tar paper or a rubber membrane held in place by the weight of rocks, usually smaller than baseballs. Alt notes that the surface resembles a dry riverbed or rocky lakeshore. In addition to Common Nighthawks, Killdeer and Forster’s Terns can safely nest on this kind of roof. PVC membrane roofs are constructed of plastic sheeting glued into place. This plastic is usually white, and its smooth surface and high reflectivity make it overly warm and subject to wind. Sheet metal reflective roofing, with its mirrorlike finish, produces dangerous glare and heat. Fortunately, cities are increasingly looking at rooftops as potential green spaces. Vegetation on rooftops can help reduce urban temperatures, produce oxygen, and absorb pollutants. If you live or work in a building with a flat roof, consider getting involved in the process of converting the roof to green space. Also take the needs of nighthawks into account. If making the rooftop a green one isn’t possible, advocate for rock-ballasted roofing. 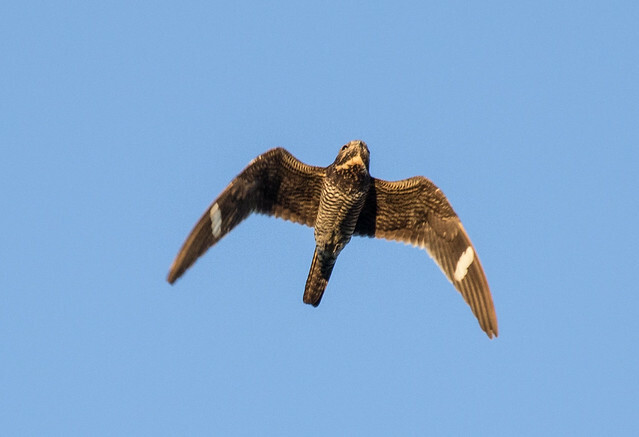 On either green roofs or non-rock-ballasted roofs, placing gravel pads in the corners may create suitable nesting areas for nighthawks. [UPDATE] Crows can learn to recognize gravel pads as places where they can pick up nighthawk chicks. And if nighthawk chicks wander off the gravel pad on a roof that gets excessively hot, they may burn their feet.